Please use the correct drop down when ordering in the USA or Internationally. Thank you! Fully illustrated 34 pages in an 8x8 design paperback. 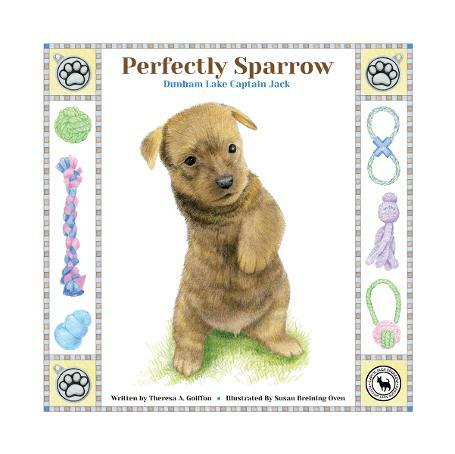 An inspirational true story as seen and told through the eyes and voice of Sparrow, an Australian Terrier born with three legs. Through his life may we all learn to be more accepting of our uniqueness, stand up to protect others to help create a kinder world. Each book will be hand signed by the author and stamped by Sparrow. A percentage of your purchase goes toward the donation of books to organizations that provide services to children and veterans across the country. Beautiful jewelry handmade, originals by Amit Eshel. We have several pieces of his work including a custom made pendant he designed for one of our best in show dogs. His work is amazing. INTERESTED IN SOMETHING "UNIQUE" WITH AUSTRALIAN TERRIERS? I HAVE FOUND THE ARTIST! For more items go directly to Sara England Designs website HERE.